Wouldn't hesitate to order again. Colorful, crisp clear lettering. I also put them inside books that I loan out. I think I will enjoy using these return address labels. I send many cards and letters, so I'm always needing return address labels. I usually buy plain ones, with no image, but I saw the labels with the Wild Birds images and decided to splurge on some pretty labels. They cost more than plain labels, but they are definitely pretty. Previously when I bought these labels they conveniently came in a roll with a dispenser. Much to my dismay, this time the labels arrived on seven 8 by 10 inch sheets of paper. The picture you show on your site is a roll. I remain, a disappointed customer. I liked the birds and they are not season specific. I used to get a lot of free ones in letters requesting donations. Not any more. Plus I love birds. I am a bird lover and have many feeders. These labels are perfect! HAVE BEEN USING THESE LOVELY LABELS FOR YEARS. To make writing bills easier. I enjoy having your personalized mailing cards, but you do have one problem with the review I was unable to look at how I have ordered it the only thing I had a chance to review was my card information, address, and that was all. If I am to review something I am buying I should be able to see the way I have ordered it with the address the way I put on my mailing stickers. Don't you think? Moved to new home and needed mailing labels. have had them before & really like them. because you were out of all the other labels that I liked! Price is great & loved design! I love birds! And have checks with birds on them so it matches well. I need new address labels & I like the self stick & like the birds on these. My last purchase of labels was the flowers. I'm about out of them so I wanted to try the birds. Again, there were 5 lines to personalize whereby most of the others only allowed 3 lines. Needed a way to save time and writing. Because I love birds and like sharing them with others. I like the birds motif, the bold print, and the slightly larger than usual size of the labels. New Address. Needed new labels and like birds. 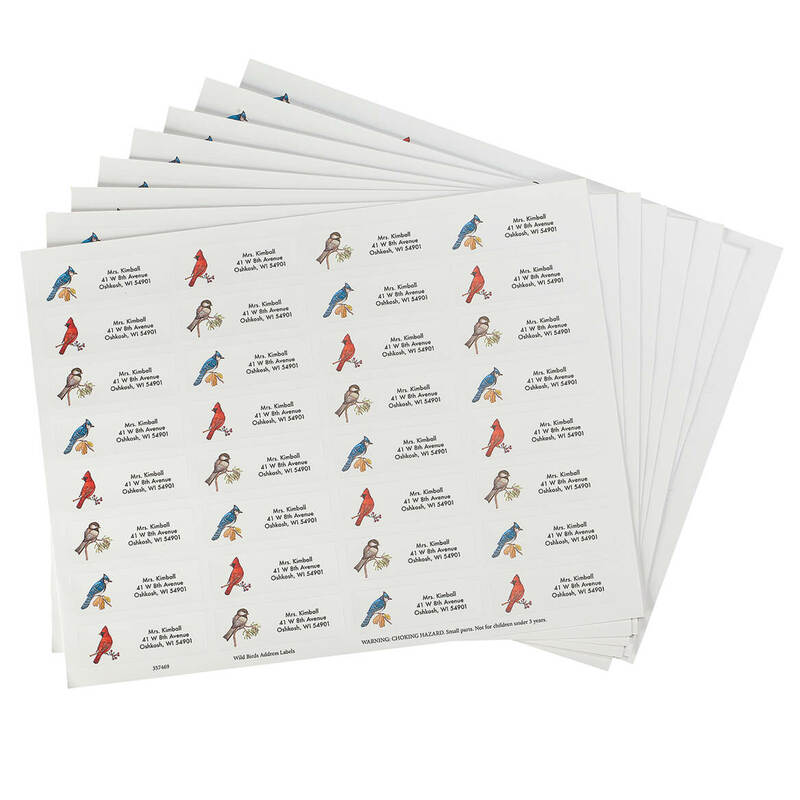 I've purchased these bird labels in the past and love them! Great quality and at a good price. Highly recommend, will continue to order. Have bought address labels from Miles Kimball before and liked very much. They will be nice on my everyday mail. 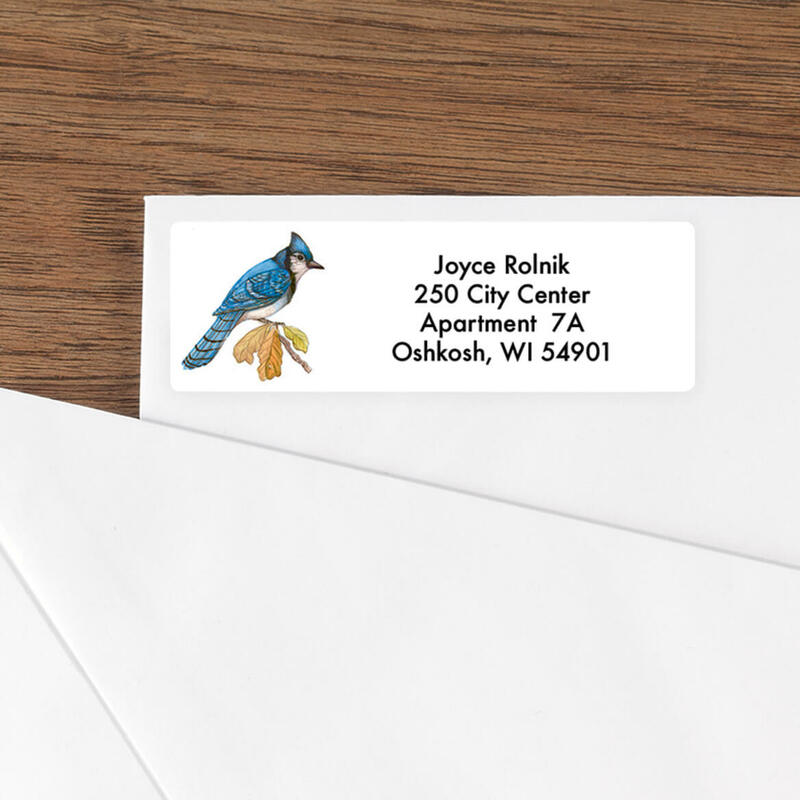 Are there seals to match the bird address labels? BEST ANSWER: Thank you for your question. No, we do not have seals to match the labels. We hope this information will be of help to you.